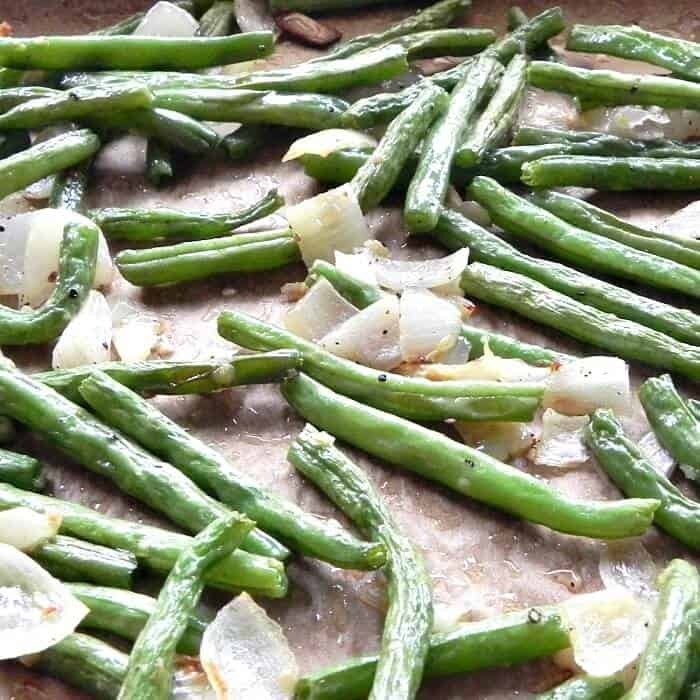 These oven roasted garlic green beans will become a family favorite. Do you have little ones who think eating a vegetable is gross? Do they turn their noses up when you serve them a new vegetable recipe? 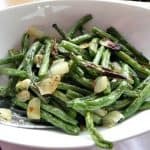 Well, don’t worry, this recipe for oven roasted garlic green beans will become a favorite and they will be begging for more. 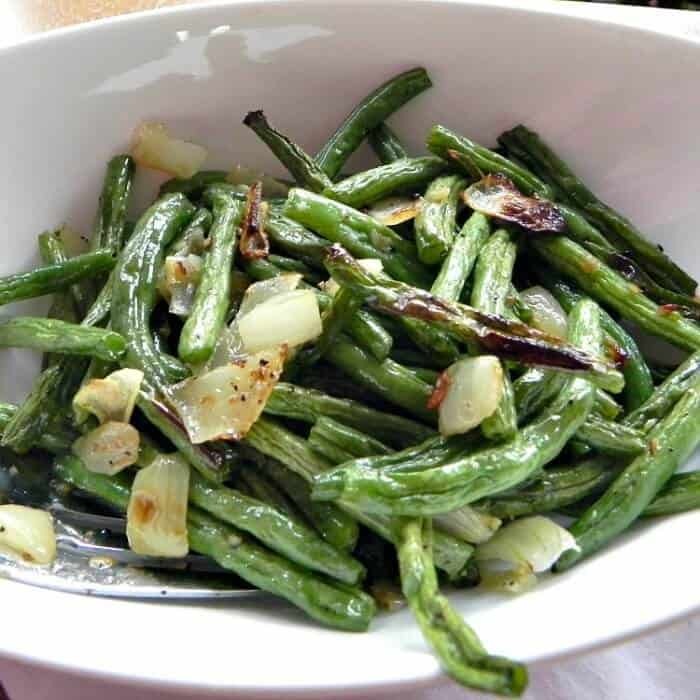 This roasted green bean recipe is super healthy and easy to make. Hi everyone! My name is Cynthia and I share healthy, clean eating recipes over at Feeding Big. 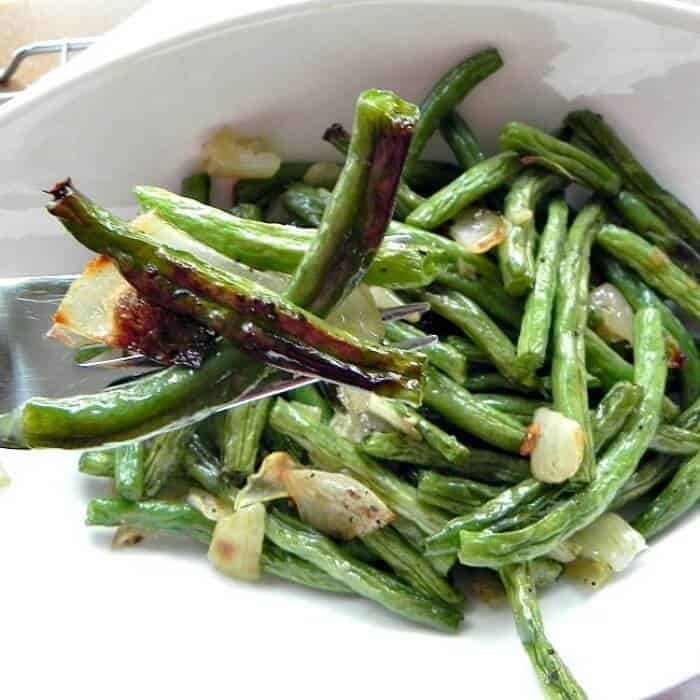 I am super excited to share this recipe for oven roasted garlic green beans at The Melrose Family today. When my daughter was younger, I struggled to get her to try a new vegetable recipe. She loved corn and wanted it for every meal. I love cooking and, trust me, making corn as a side dish every night was just not something I wanted to do. In an effort to get her to try, and hopefully fall in love with a different vegetable, I tried many recipes. You can encourage your children to eat more vegetables by getting them involved in the making of this recipe. They will be so proud to show off their kitchen skills. I bet they will eat more of their green beans too! Now that my daughter is older and her taste has changed, she has many favorite vegetable recipes. She loves broccoli apple salad with tahini dressing. It is a broccoli recipe with a healthy twist. We love the sweet and tart tahini dressing. Do you have little ones who think eating a vegetable is gross? 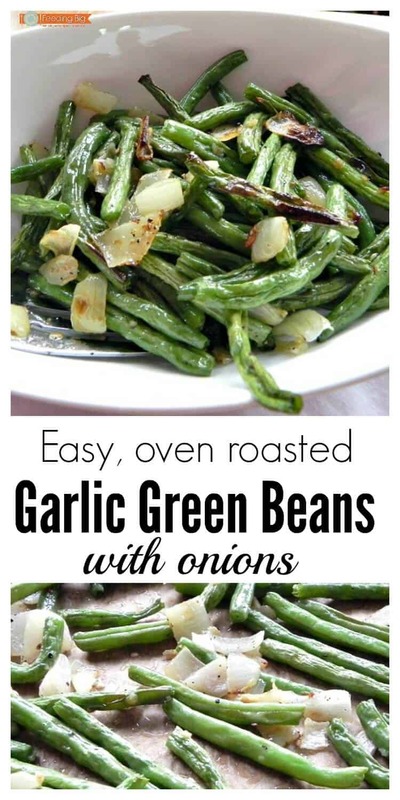 These oven roasted garlic green beans will become a family favorite. In a large bowl, melt the butter in the microwave. Add the green beans, garlic, onions and stir well. Place the green bean mixture on the parchment paper. Add salt and pepper. Bake for about 5 - 8 minutes and then flip the green beans and bake another 5 - 8 minutes. We love these beans with a little char on them, but you don’t have to have them that way. Just take them out of the oven sooner. You can find Cynthia at Feeding Big where she shares healthy/clean eating recipes and lifestyle tips. Make sure you head over there to find more vegetable recipes that are made with real food and taste fantastic. You can also find her having out on Facebook/Twitter/Pinterest/Instagram. These look (and sound) ah-mazing. My family loves green beans, but your recipe is a bit more grown up than the usual plain way I serve them. I may be making green beans every night this week now with your simple and gorgeous recipe. I had a craving for green beans this week and picked up some at the market! I was thinking about what I wanted to do with them and roasting is perfect. Thanks for the inspiration!!! !